I just received the note below from Amazon, informing me that I will no longer eligible to participate the Amazon Associate Program. I’d like to thank the Illinois Governor, Pat Quinn for increasing Illinois taxes, mismanaging money and further reducing our income. This isn’t a huge deal for me personally, I have a couple of links and one affiliate website, Mens-Razors.com. Not a major portion of my business revenue. None the less, it’s aggravating that the state law makers with no understanding as to the impact of their decisions. There are people who have serious revenue that will now be halted. Its really too bad, but there are some alternatives to amazon that you can easily switch you site over too. But people trust amazon and they have everything so it really is to bad. Hopefully they don;t pull this in florida. I’ll take the tax and not have to live in Florida :). That’s the state where people from Illinois and New York go to die. I would leave Illinois as soon as I could and move to the great state of Florida! Sorry to here that. Went thru that myself here in RI a year ago when they passed their version. It’s kinda funny that there is now a bill in the RI legislature that would repeal it. Not getting my hopes up that it will pass, tho. The lawmakers have absolutely NO clue. @Rick, I do recall that. Hope RI gets back on the right track and maybe some day IL will too. Sales tax on online sales is inevitable. Once California passes it (the bill is in process) it will be a done deal. Why should a company like Amazon get this unfair advantage over all the local merchants? They had their free lunch, time to grow up. I don’t believe most businesses would mind collecting and remitting sales taxes. However, the politicians are the ones that need to understand the burden their individual sales taxes laws cause for small businesses at the micro and macro levels. If you know anything about all the different state sales tax laws, you’ll understand that it isn’t always as easy as multiplying your gross revenue by a single sales tax rate per state. In fact, many, like Washington State require you to collect and remit based on the shipping address — down to the street address. Some cities in States like Colorado have special sales taxes for transit and stadiums — which needs to be collected based on the shipping address. And to complicate things even more, in Colorado the person across the street may not need to be charged the sales tax, when their neighbor does. This means you have to charge different rates, in some cases down to specific streets or as broad as the entire state. This is all due to Politicians special interests — not for collecting fair sales tax. If the states want to collect sales tax and make it fair (not just self-serving), then they should work together to create a simple online sales tax scheme that minimizes costs to businesses and minimizes financial waste in government revenue departments that must be setup to collect and enforce complicated sales tax laws. Politicians need to change the tax laws and their understanding to catch up with the 21st Century. Not make it more difficult and expensive on the citizens or businesses. 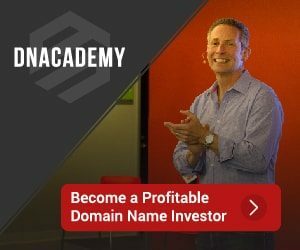 I actually purchased two domains a while back and was planning on developing a small Amazon store. Well, now they are just sitting there until I find an alternative to Amazon. You can use Viglink as an alternative. They allow you to link to Amazon through their proxy, as well as hundreds of other merchants. They take a 25% commission, but 75% is better than nothing! Dave, thanks for the tip. Worth looking into.